Pinterest is an online pin board that, according to its website, allows you to 'organize and share all the beautiful things you find on the web.' A pin board is a board attached to a wall so that messages and pictures can be pinned on to it for display. So basically, Pinterest is a virtual pinboard. Some will ask, 'why would you use a virtual pinboard?' Well, there are obvious reasons, like collecting images in one place to help you plan an event, a project and so on. 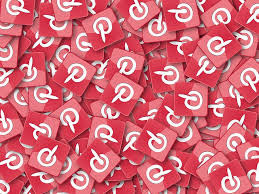 However, it is the social sharing component of Pinterest that makes the growing network an interesting place for businesses. While marketing a business on social media, it is important to create boards that encourage customers to follow your brand and want to find out more. You have to try to focus on things that are specific to what makes your brand unique, rather than creating random, vague or generic boards. Click on 'Sign up with email'. This red button is near the bottom of the screen. You can also tap Continue with Facebook if you want to use your Facebook account details to log in. Input your email address. It has to be a working email address that you have the credentials. Click on 'Next' at the bottom of the page. Click on 'Next' and here you'll need to enter your first and last name. Click on Next and here you'll need to type in your age. You do not need to type in your birth date. Click on Next and you'll be asked to select a gender. If you select the Custom option, you will need to enter your preferred gender affiliation when prompted. You will now be prompted to select a language and country. Do that and click on 'Done'. Select at least five topics. The topics you select on this page will determine the content you will see in your feed later. Click on Next. It is in the top right side of the screen. Pinterest will begin building your profile based on your selected interests. You are now ready to create your first board and start pinning! Enter your email address and a preferred password in the "Email" and "Create a password" fields in the middle of the page. You can also click 'continue as' to create an account through Facebook or google account. Click on Continue, a red button below the 'Create a password' field. Full name - Put in your first and last name here. Age - Input your current age (not your birth date). Gender - Click on the button next to "Male", "Female", or "Custom". If you choose a custom gender, you will be asked to put in your preferred gender name. Click on Skip for now. It is located on the left side of the mobile app page. Select at least five topics. The topics you select on this page will determine the content you'll see in your feed later on. Click on Done. Pinterest will then begin to build your profile based on your selected interests. You are now ready to create your first board and start pinning!